Our Head Start/Early Head Start programs promote School Readiness for children in low-income families by providing comprehensive educational, health, nutritional, and social services. Parents play a large role in our programs both as primary educators and as participants in administering the program locally. To apply for our Head Start/Early Head Start programs, please click here. For more information about the school-based program, click here. 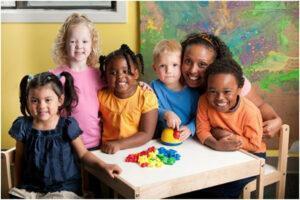 To learn about our Early Head Start Home Based program, click here.